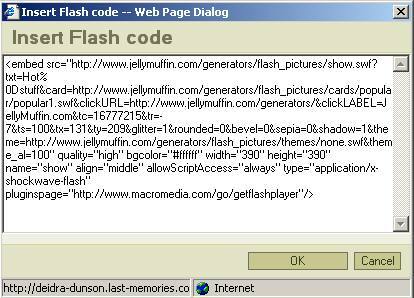 Your website will become more unique if you add the flash objects on it. We have prepared very simple way to add slideshows, animations, postcards, games to your Memorial website. 4. In new opened window paste your generated code from another website. 5. Press OK and after that press Save button.